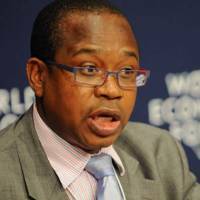 Finance and Economic Development Minister Professor Mthuli Ncube yesterday held “very open” conversations with a team from the International Monetary Fund (IMF), which is in the country to discuss a range of issues including the country’s debt and arrears clearance plan. Prof Ncube said this in interview with The Herald Business on the sidelines of his presentation to students of the National Defence Course, Intake 7 of 2018, at the Zimbabwe National Defence University in Mazowe. The IMF had its $107,9 million arrears paid in full in October 2016, but the pari-passu principle dictates that one should manage two or more assets, securities, creditors or obligations equally without preference. Pari-passu is a Latin phrase that means “equal footing”. This means despite being paid in full, the IMF remains an interested party until all other creditors have been paid, hence the visit to Harare. 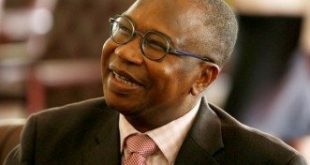 Prof Ncube said the IMF team is visiting Zimbabwe this week for engagements. “. 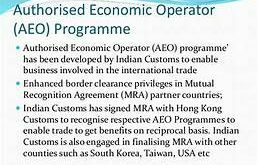 . . the arrears clearance road map involves closer working relationships with the IMF, World Bank and the African Development Bank,” said Prof Ncube. “As I speak, I just met them (IMF officials) before I came to speak here at the Defence College and we have been very open, very transparent, very constructive in our conversations about our reform agenda (and) where the economy is headed. Prof Ncube said Zimbabwe is working closely with the World Bank, IMF and the AfDB. A team from the World Bank has already visited Harare for engagements relating to the arrears clearance plan and AfDB officials are expected in March, as government deepens the re-engagement process. Zimbabwe’s arrears to the AfDB are $610 million, over $1,16 billion to the World Bank and $212 million to the European Investment Bank. But Prof Ncube believes the country is “on course” in terms of clearing its arrears. Government plans to clear the arrears though a “bridging finance” which is set to be obtained from the creditors. Talks between Government and the creditors regarding the bridging finance are already in motion and are expected to be concluded in a year. “We just need to work harder to make sure that we access the bridging resources for that. “The cheapest funding you can ever get is from themselves (the World Bank, IMF and African Development Bank) and there are mechanisms through which this can be done and we are working on that; we are having a conversation on that,” said Prof Ncube. 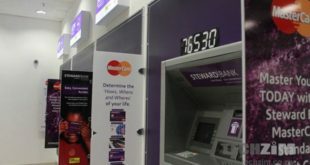 Zimbabwe is battling to clear the arrears as it is a condition precedent to unlocking fresh funds to recapitalise and provide working capital to productive sectors. The productive sectors of the economy are choking due to failure to obtain cheap funds in almost two decades. Prof Ncube said creditors wanted to see credible economic reforms before listening to Harare’s arrears clearance plan. Government has since launched an economic blueprint, the Transitional Stabilisation Programme (TSP), which speaks to a number of plans the country has put in place to transform the economy. Local businesspeople and experts, together with international lenders, have described the TSP as a “credible document”. Prof Ncube said focus was now on implementing it, which is being done “through the Budget” and “resource allocation”. The upper house of Parliament passed the Budget on January 2019 and reportedly awaits presidential assent.